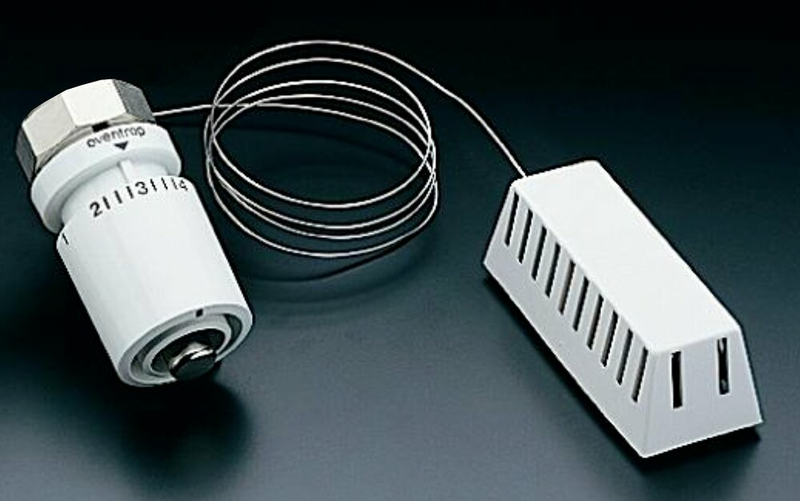 The "Uni-DH" is a non-electric thermostatic operator for Oventrop radiator valves. It uses a wax element to sense the temperature and control the valve. The "Uni-DH" is a compact model about the size of a "D" cell battery. This operator is ideal for tight installation locations. 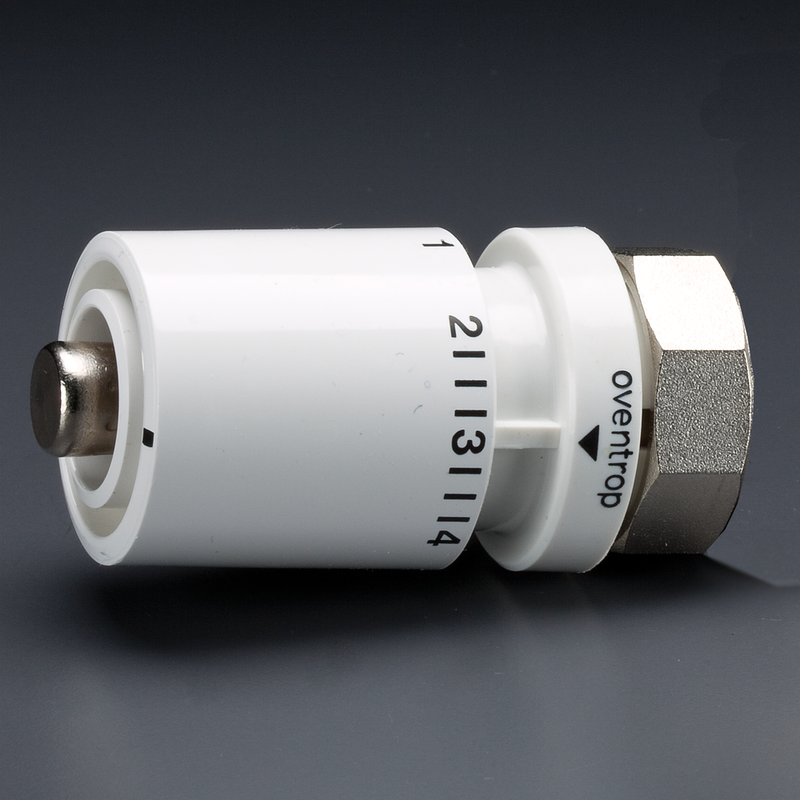 The "Uni-DH" is also available with a remote sensor bulb for applications with a concealed valve placement.